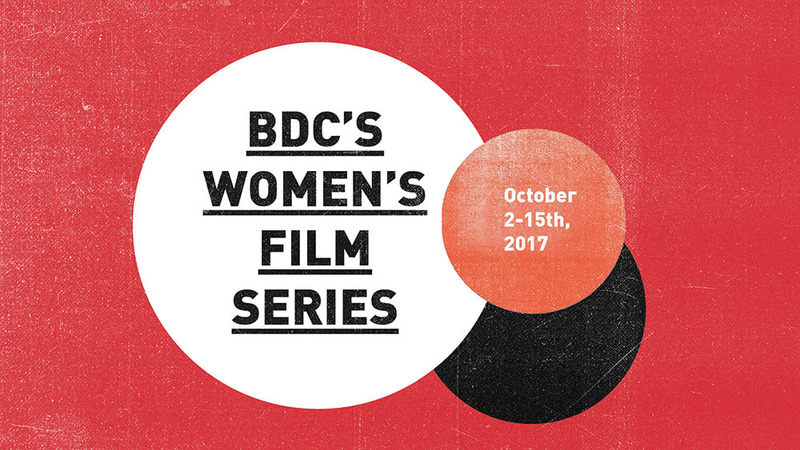 The BDC's 3rd Annual Women's Film series will showcase an incredible lineup of talented directors and award-winning documentaries. 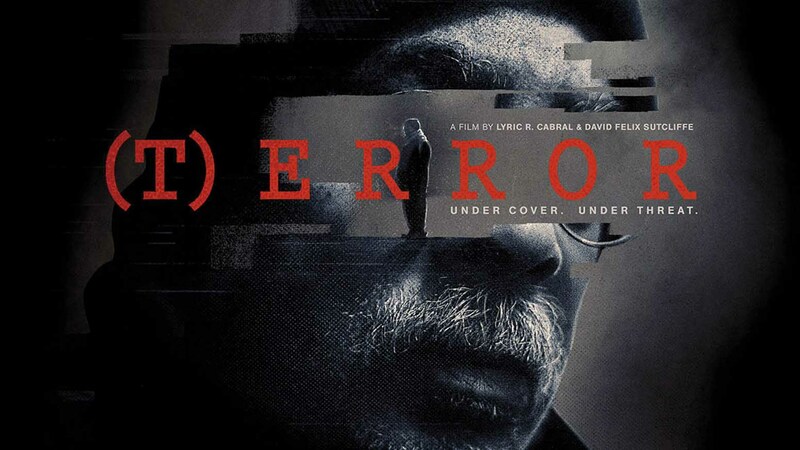 Award-winning documentary (T)ERROR shines a light on the shadowy world of FBI informants, government surveillance, and counterterrorism operations, going deep inside an active terror sting. Lyric R Cabral is a photojournalist, filmmaker, and cinematographer documenting stories seldom seen in mainstream media. Her verité works explore the intersections of race, religion, and surveillance in the United States. In 2014, the disappearance of 43 college students sparked a historic social movement in Mexico. Faced with government obstruction of an international investigation into their disappearance, their families enter a new chapter of uncertainty but refuse to stop seeking justice and closure. Emily Pederson is an award-winning photographer and filmmaker. Raised in Rhode Island and based in New York, she has spent most of the last four years in Mexico, covering social movements and the impact of the Drug War on Mexican society. Her documentary work has been published in The New York Times, The Atlantic, La Jornada, The Huffington Post and El Faro. She holds a degree in Photography and Human Rights from New York University. Griselda San Martin is a documentary photographer and filmmaker. For the past five years, she has documented the U.S.- Mexico border. Her long-term projects delve into issues of immigration, deportation, inequality and human rights violations. She is currently focusing on the Hispanic community in the United States, exploring the effects of the rising xenophobic political and social climate in immigrants and ethnic minorities. Her work has appeared in publications such as The Washington Post, The New York Times Lens Blog, The New Republic, The Huffington Post and El País among others. This is a story about the “other” Muslims. In a small Spanish town in the inspiring Alpujarra mountains, in Andalusia, 35 families of Westerners live a simple life as newly converted Muslims, following the traces of Sufism, considered by many as the mystic and most spiritual branch of Islam. Maria Badia is a storyteller and filmmaker from Barcelona based in Brooklyn since 2008. She first came to New York as a correspondent for a Spanish television network. She produces, directs, shoots, and edits commercial and documentary films. She was a fellow at the 2012-2013 Uniondocs Collaborative Studio. She is a current member of the Brooklyn Filmmakers Collective, a community of professional filmmakers with who we workshop our works once a week; and Film Fatales, a supportive group of women filmmakers collaborating in projects which gathers once a month. An unexpected relationship reveals itself over three months of phone calls between two unlikely collaborators - 'Marty,' a 25-year old Ultra-Orthodox Hasidic family man, and Annie, a filmmaker in residence at UnionDocs. Annie Berman is a media artist living and working in New York City. Named one of Independent Magazine’s 10 Filmmakers to Watch in 2016, her films, videos, performances, and installations have shown internationally in galleries, festivals, universities, and conferences, including the MoMA Documentary Fortnight, Rooftop Films, Galerie Patrick Ebensperger Berlin, Kassel Hauptbahnhof, Babycastles Gallery, and the Rome Independent Film Festival where she was awarded the Best Experimental Film Prize. 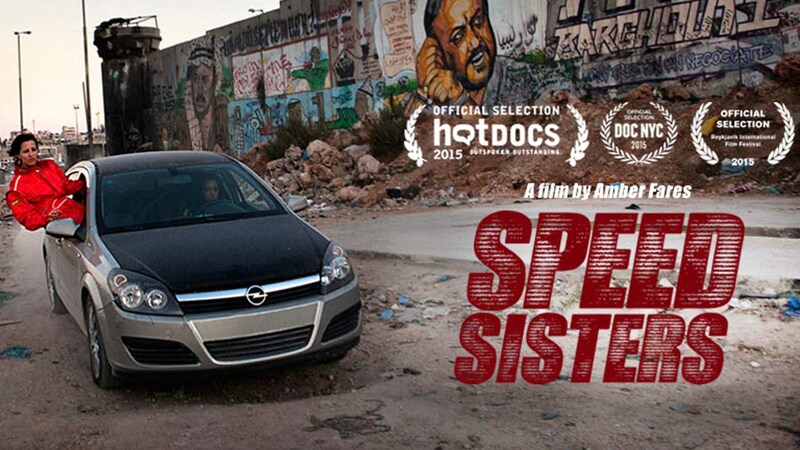 The Speed Sisters are the first all-women race car driving team in the Middle East. They’re bold. They’re fearless. And they’re tearing up the tracks all over Palestine. Amber Fares is an award-winning documentary filmmaker and photographer. Amber co-founded SocDoc Studios to produce story-driven films that explore social issues. 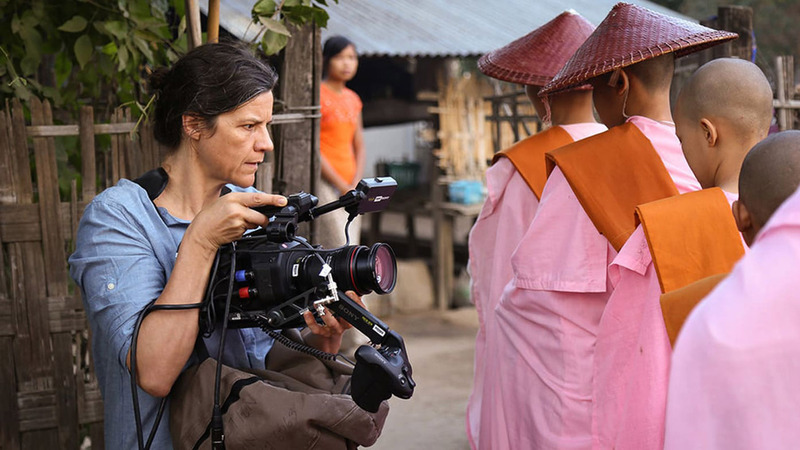 Cinematographer Kirsten Johnson exposes her many years behind the camera through a memoir made up of decades of footage shot all over the world. 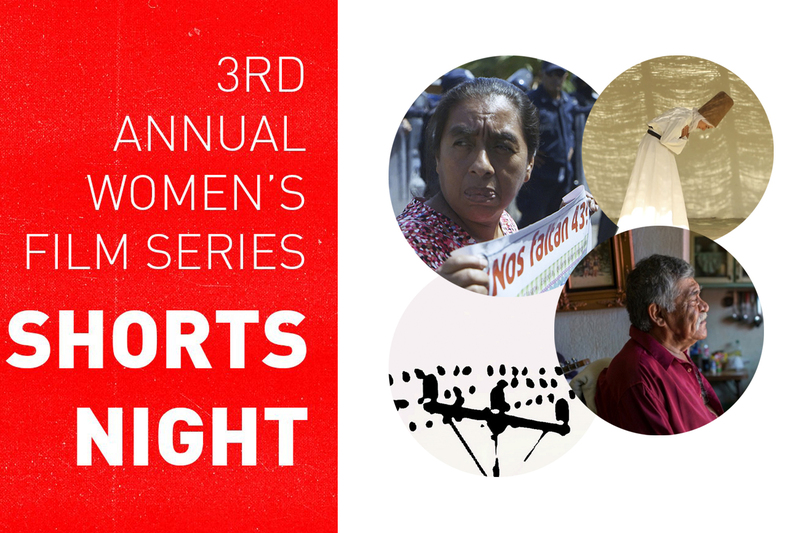 We're excited to partner with POV for this screening. Kirsten Johnson is an award-winning New York-based documentary filmmaker and cinematographer. Cameraperson was short-listed for an Academy Award. It received three 2017 Cinema Eye Honors, including 'Outstanding Nonfiction Feature'. Critically-acclaimed cinematographer Kirsten Johnson (Academy Award shortlisted, 2017) will lead a workshop exploring ways of seeing and approaches to facing the challenges and opportunities for women in today's documentary filmmaking world.